The first solution you may consider is MHL (Mobile High-Definition Link) through USB port. Unfortunately, Moto G does NOT support MHL at all. So do not waste money on such gadgets. To enjoy contents in a large screen from Moto G, the most feasible solution is through Google Chromecast. With the official release of Google Cast SDK, more and more apps, including media players, will work with Chromecast. Do you have any other solutions for Moto G wireless display? Please let us know in the comment box below. You can find more Moto G tutorials on our Moto G how-to guide page. I don’t have WiFi with my tv, so I can’t use Chromecast for my Moto G. Is there any way what so ever with wired adapters, or any other alternative that can get my Moto G on my Visio HDTV? WiFi is not needed for TV. Only your phone and Chromecast requires WiFi or wired connections. Anyway, you need a router with an internet connection. For Chromecast, if you only have a wired network there is an official Ethernet adapter (as explained in this post). For Moto G, you can use an Ethernet adapter to connect to wired networks. But if you are considering to connect Moto G directly to the TV, no it will not work. It is for Chromecast, not miracast. I have just purchase moto g5 plus my 1st moto device.cast option is available on phone ,but it doesn’t display my smart tv name in the cast screen. At the same time tv name shows in my leenovo k5 plus mobile cast option where any cast inbuilt smart feature is there and it will casting my lenovo mobile screen without issue. But no luck for moto g5 plus. Also there is no wireless display check box available which is available on my lenovo k5 plus. Can anyone please assist for this? Moto G doesn’t support Miracast. The cast option is for Chromecast. What is the reason behind that? What is the logic rest of everything working perfectly fine. My earlier phone works very well with cast screen with the same smart TV. Now Why im going to purchase separate dongle now? I dont want to spend extra money for dongle. It should be cast by default like any other handsets. Your smart TV requires Miracast, which is not supported by Moto G. Among Moto phones, only Moto X supports Miracast. Im using moto g…how can i connect it to samsung 5200 smart tv? Get a Chromecast. I think there are some promotions on Chromecast currently. You must tell me how to connect my Moto G with my Sony Bravia TV. I set up MiraCast and it doesn’t work. Why doesn’t it work? Should I try some other app? Is there one you recommend? Would you please come to my home and set it up for me? Sorry, I couldn’t help myself. I’m just kidding, btw (hopefully the request for a home visit made that clear, but ya never know). Anyway, I just stumbled across your post and was entertained by the comments (most of which seem to have you confused with their personal tech support guy, or someone with an obligation to make their technology work, rather than a nice guy posting something informative on its own). The least they could do is be somewhat gracious when asking you to solve their problems. But I digress. Just wanted to say I enjoyed your article. Thanks! (And I know you probably posted it like a year ago, or more, so you may not even see this, but that’s okay). Moto G does not support Miracast. You should try Chromecast, which works flawlessly with Moto G.
The difference between Chromecast and Miracast is explained here. Does moto g4 plus support miracast? Can it be connected to sony smart tv? No, as I know, Moto G4 Plus does not support Miracast. It is time to get a Chromecast dongle. 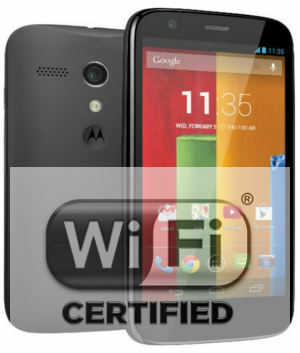 I have checked wi-fi.org (which certifies devices for using miracast etc), Moto-G2 (XT1068) is there on their list of certified devices. please explain still why we can use screen mirroring. The screen mirroring in Moto G is for Chromecast, not Miracast. No, as I know. It’s also explained in this page. You can use AllCast in the Play store (https://play.google.com/store/apps/details?id=com.koushikdutta.cast) for video mirroring, I’ve tried it and this definitely works with the 1st gen Moto G sending to a Sony Wi-Fi Direct/Miracast capable TV. AllCast supports casting to lots of other devices too, inc. Chromecast, DLNA, etc. Hi, I am using motog phone and I have recently purchased Sony bravia TV. So problem is I am unable to connect screen mirroring with my phone to TV . pls telle how to connect it.. If not is there apps..
Moto G does not support Miracast (not sure whether your TV supports it or not). i am having moto g 3rd gen and i want to use cast screen as this option comes in display option with my ezcast hdmi stick and when i search in my motog 3rd gen in CAST SCREEN it dont show any avaialble mirroring option while on ezcast app mirroring is on and waiting for pairing. please help me regarding this or provide any app through which i can use cast screen option on my moto g 3rd gen mobile. Moto G doesn’t support miracast. The cast screen is for Nexus devices (using Chromecast). It is not for Moto devices. In Moto G, you need install Chromecast app. Inside the Chromecast app, you can find the screen cast option. The option of cast screen use to work on my moto g 4g with the factory version of android (4.4.3) and google play services without the necessity of others apps or root. i didn’t think g did 4g. I’ve got 4.4.2 and the menu options shows but doesn’t seem to work. I thought it did a while back but that may have been a motox. OK so I have a quick question. Is it possible to watch say amazon prime or Netflix on my TV from my Moto G if I’m hard wired in via a micro USB to HDMI?? No, moto g doesn’t support MHL. Do you need internet connection to link my moto g 2nd gen to Chromecast to watch video on my memory card? Chromecast requires internet connection to function, even you are streaming local contents. The traffic will NOT go locally. The phone number is always assigned by your phone company. It is linked to the SIM card given to you. Did you see signal strength icon in the top of the screen? Friends , Any idea if this feature (wifi display ) is available in MOTO G (2gen) ? ? ? Not tested yet. Once I get my phone, I test it personally. Yes. Bubbleupnp works as DLNA for media sharing & not the cast screen or mirroring. Thank you for sharing the info on the app. Personally, I would not recommend this app. Google+ profile for yourself. For others, you can manage the contact in people app. When asked Motorola stated on Twitter to ‘stay tuned, It may be supported in a future update’. Actually, Motorola “was” planning some screencasting with Chromecast. But with the acquisition by Lenovo, it is not clear whether they are still working on this.